Distributed ledger technology remains one of the hottest fintech topics in the financial services industry. 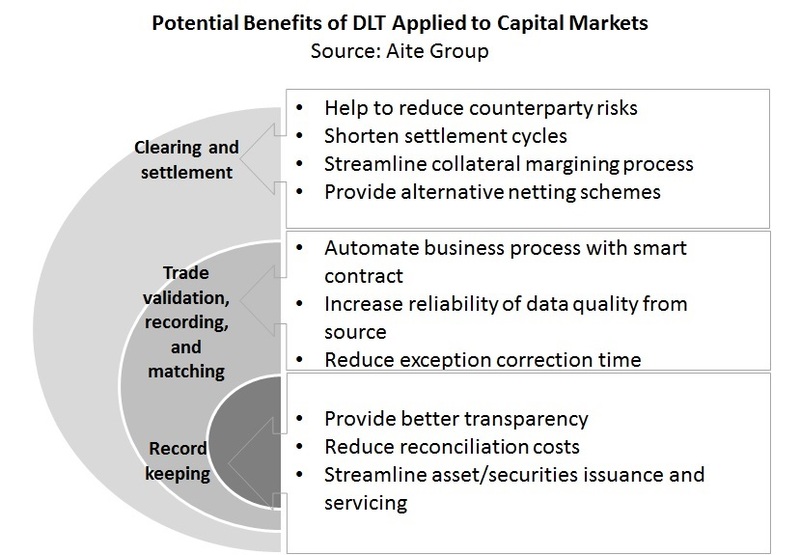 Boston, July 13, 2017 – The DLT proponents claim that DLT can bring much efficiency to current post-trade processes and can potentially shorten the settlement cycle. Many others in the industry view DLT as an immature technical attempt to cure the post-trade problems that have stemmed from issues other than technology. If the technology is to prove its competency in supporting relevant post-trade tasks, how will the role of DLT be properly inserted into the current post-trade landscape, with consideration of the incumbent market utilities and existing market practices? This Impact Report—the first in a two-part series—examines the operational complexities that DLT must address before it can become a realistic alternative approach to existing post-trade practices. It is based on qualitative Aite Group interviews from February to June with 15 executives who lead blockchain innovation at capital markets firms, including banks, exchanges, consultants, and market infrastructure firms, as well as with fintech vendors. This 30-page Impact Report contains eight figures and one table. Clients of Aite Group’s Institutional Securities & Investments service can download this report, the corresponding charts, and the Executive Impact Deck. This report mentions the Australian Stock Exchange, DTCC, and NSCC.